Mark Flickinger has been an active force in the roofing business in Brevard County for 30 years. He began his career in construction with jobs in masonry, finish carpentry, rough framing and as a cabinetmaker. After graduating from ITT Technical Institute in Youngstown, Ohio, he moved to Brevard County with his wife, Debbie, and their three sons in 1989. He held essential roles with a handful of successful roofing contractors and witnessed the evolution of the roofing industry transition from being exclusively hot tar applications to, now, being largely single ply roofing. He remembers the “big shift” in the way roofing was done as a result of Hurricane Andrew. By 1999, the building codes statewide had been revamped. From then on, roofing products and the way they were installed was changed for the better. A few of his most memorable projects include the VAB at Kennedy Space Center; Lockheed Martin, Orlando; The Windham Rio Mar in Puerto Rico; and a recent landmark, the standing seam metal “cone” roof at the Titus Landing medical building in Titusville. He believes it is most rewarding to find an option for a customer, whether in material or methods, that solves that customer’s problem, fits the need for their building and results in a roof that keeps the water out, looks good, and is built to last. “Throughout my career, I have been blessed to be associated with contractors of integrity in the area, beginning with Commercial Roofing in Melbourne in 1989,” Flickinger said. For three years now, he has been integral to the continued success of G & G Roofing with Ray and Kristy Smith. 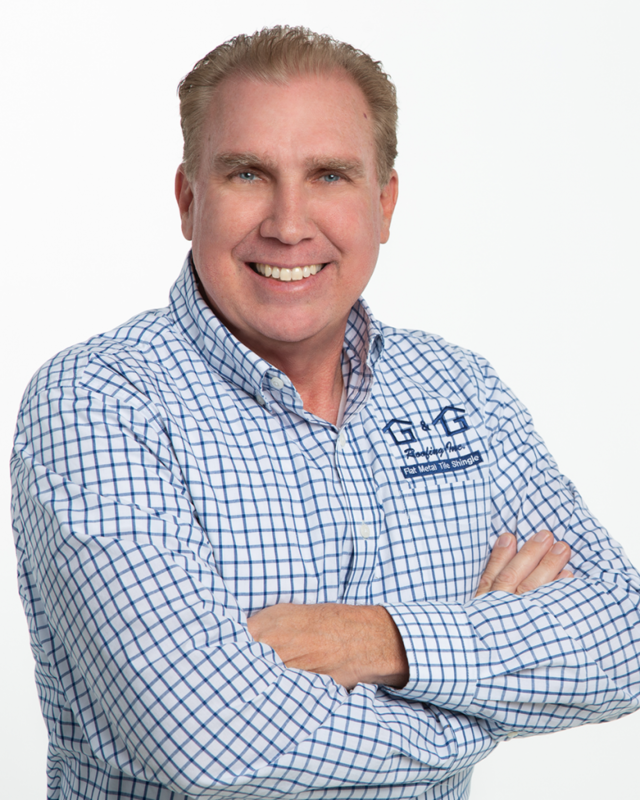 His efforts have helped expand the commercial market share of G & G Roofing. “Ray and Kristy have created a strong, reputable business with a management style and dedication that assures success for their employees and the success of their entire company. It is a privilege to be part of their team.